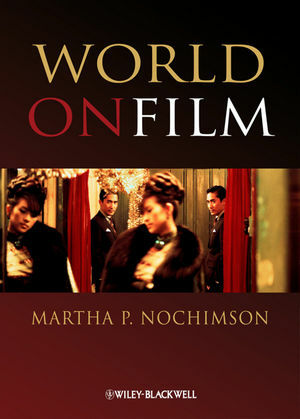 Martha P. Nochimson’s career includes not only a rich academic portfolio, but also a few stints writing for the commercial media. Her ninth book, Television Rewired: The Rise of the Auteur Series will be published on July 15, 2019. Her earlier work includes The Passion of David Lynch: Wild at Heart in Hollywood; David Lynch Swerves: Uncertainty from Lost Highway to Inland Empire; Dying to Belong: Gangster Movies in Hollywood and Hong Kong and the Wiley Companion to Wong Kar-wai. She is known for including in her research for her book projects in-depth, in-person interviews with major writers, directors, and actors in film and television. She has taught at the Tisch School of the Arts (NYU), and she developed and chaired a film studies program for Mercy College. Currently, she is teaching at the David Lynch Graduate Program in Cinematic Arts. She has written scripts for all the major television networks, and worked as a story editor at CBS-TV. She has covered the New York Film Festival for 18 years, and has also covered the Istanbul International Film Festival and the Montreal Film Festival. She is a long-time member of the Columbia University Seminar on Cinema and Interdisciplinary Interpretation and writes a blog called “Eye on Media” for the website of the Alliance of Women Film Journalists.